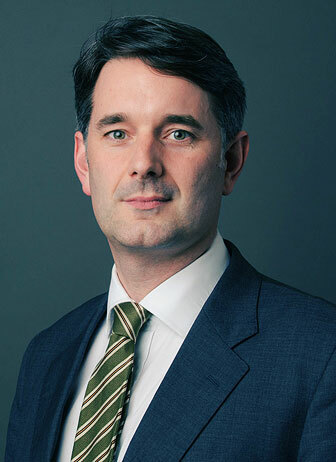 Ronan has practised in all areas of family law for over twenty years and combines thorough preparation and robust advocacy with a friendly and straightforward approach with clients. Ronan is regularly instructed in private law matters. He has considerable experience in representing not just parents in these disputes but other interested parties – including the children themselves (either directly or through a Children’s Guardian). Ronan’s practice often includes challenging cases involving, for example, alleged implacable hostility / parental alienation, serious allegations of harm (e.g. of sexual or physical abuse), and applications for permission to remove children permanently from the jurisdiction. These cases usually involve the cross-examination of experts and other professionals and Ronan brings to them a specialist forensic knowledge and skill associated with his public law practice. In respect of less contentious private law disputes, Ronan works to provide his clients with the advice and representation needed to secure an effective and workable outcome for them. Ronan appears in the full spectrum of public law children cases, including care and supervision order applications, contested placement and adoption order applications and applications for the discharge of such orders. He specialises in complex cases including issues of non-accidental injury and sexual abuse, factitious induced illness, mental health and substance misuse problems, and learning difficulties. Ronan represents all categories of party and intervener in these proceedings and has also acted as leader to more junior barristers. He brings a flexibility of approach that permits him to represent effectively a wide variety of clients, from the most vulnerable of parents to corporate bodies. The leading authority in respect of the reliability of hair strand testing for drugs and how the results of hair tests should be interpreted by practitioners. Ronan O'Donovan appeared on behalf of Lextox, one of the laboratories intervening in ongoing care proceedings where the issue of the mother's use of drugs was called into dispute by a trichologist. Peter Jackson J held that the variability of findings from hair strand testing does not call into question the underlying science, but underlines the need to treat numerical data with proper caution. Order for costs made against Trimega Laboratories following erroneous hair strand testing results being returned in respect of a mother. Application by parents within a Placement Order application to adduce further medical evidence to challenge findings against them that they had caused non-accidental injury to their son. Care proceedings — Fact-finding hearing — Whether necessary for risk assessment purposes — Extent to which risk assessment could be undertaken in relation to ‘uncertain perpetrator'. Adoption — Placement order application — Local authority acting as adoption agency — Approval by appointed officer to precede application for placement order. Ronan appears in the Court of Protection in cases involving both welfare and deprivation of liberty decisions as well as disputes over property and affairs. He has a special interest in the crossover between the Court of Protection and the Family Court. Ronan is instructed in all aspects of family finance work, including matrimonial finance and disputes between cohabitants. He has particular experience of representing family members and other interested parties who wish to intervene in such cases. Ronan’s practice includes children cases with an international element. As well as applications for leave to remove children from the jurisdiction, he has represented parties in applications under Brussels II revised and the Hague Conventions, and in cases involving forced marriage and FGM.